We interviewed D.K. 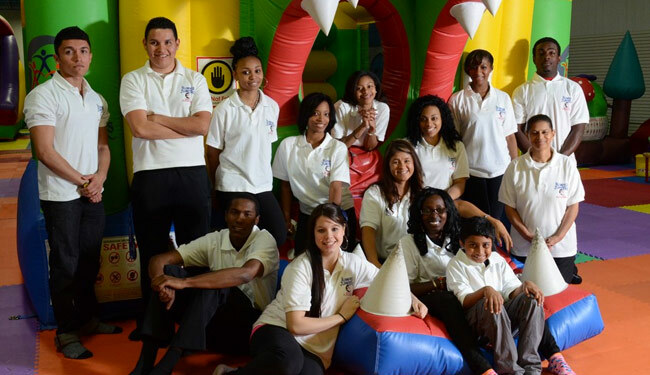 Patel, owner and CEO of Bumper Jumpers, a five star rated indoor playground in Greensboro, North Carolina. BEAM: Can you tell a little bit about your company? D.K., Bumper Jumpers: We’re a 14,000 square foot facility, the largest in the county. We have birthday parties and all kinds of indoor games. We’ve been open since 2008. We’ve had BEAM since January. BEAM: What was the need you wanted to fill? D.K., Bumper Jumpers: Well, it’s good for the kids. They like to jump and follow the games on the floor. We wanted to expand our offerings. We have a Big Baller inflatable game that kids often wait in line for, so we put BEAM in front of them so that they could play it while they were waiting in line, but then it turned out to be even more popular, so kids stand in line to play on the BEAM, as well. BEAM: How do the customers like it? D.K., Bumper Jumpers: The parents actually like BEAM as much as the kids do. They’re both playing together. Sometimes, even while the kids are doing some other activity, the parents are actually playing on the BEAM. It was funny to watch how that turned out. D.K., Bumper Jumpers: They seem to like the whack-a-mole and hockey, but it’s hard to tell, because when games change, nobody gets off: they just stay on and play. I must say it’s a pretty good concept. Kids like it, as do parents.